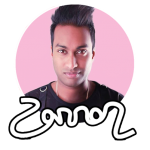 Known for his infamous mashups and mega mixes, his role as executive producer/co-host for KIIS FM’s Club Show ‘Velocity with KCB’, residency at Marquee Sydney and headlining numerous clubs, festivals across Australia and the world. Every time he steps up behind the decks, he takes over the room with his musical selection and style that hits all the right places with any crowd. 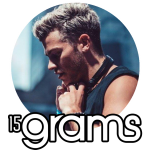 Amongst the clubbing scene, 15grams is well known for his versatility and skill on the decks with a humbling ability to blend styles seamlessly. Having spent three full Summers at Paradise Club in Mykonos and currently holding a residency at Marquee Sydney, there is no suprise he has supported a plethora of worldclass artists including Axwell, Laidback Luke, Hardwell, Bob Sinclair & Afrojack to name a few. 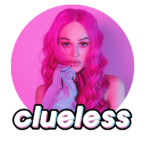 Clueless’ musical style is a fusion of all things house – floating between Deep, Tech, Vocal and Bass. Headlining every night club she graces, Clueless has peddled her sound all around Australia, with residencies at Australian nightlife institutions such as Ministry Of Sound and Marco Polo at Ivy. She also plays regularly at Chinese Laundry, Deeper Than House and The World Bar and has even traveled across the ocean to play headline shows in KL, Maylasia and festivals such as Your Paradise in FIJI. Robustt has become a staple of his local Sydney music scene, having held residencies at the top music venues such as Chinese Laundry, The World Bar, Candy’s Apartment and Home nightclub – also landing his beats and production with both Local and International Artists such as William Singe, It’sLily, Junor and many more. Well known for his love of Club House and Disco music Sarkozy is a Sydney veteran when it comes to the DJ booth. 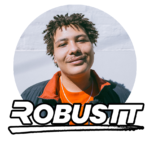 With residencies at World Bar, Ministry of Sound Australia and Marco Polo he has had the privilege of supporting such acts as Justice, Timmy Trumpet, Tigerlilly, Sneaky Sound System and Jillionaire.